The author provided a wonderful perspective of present events interwoven with a story in the past. The fates of the characters capture and hold our attention. Another fantastic book from Marta Perry! Two beautiful stories of women overcoming life's challenges. Always a page turner...on to the next!! The Forgiven: Keepers of the Promise! The Forgiven by Marta Perry is the first book in the Keepers of the Promise series. Elizabeth Lapp is seventy-six years old and having some health problems. Elizabeth is going to move into her son’s home, but first she needs to distribute her treasures and memories. Elizabeth has items stored in her attic that to her all have stories and are a part of the family’s history. She has asked her three granddaughters, Rebecca, Judith, and Barbara (Barbie), to make sure the items go the correct family members. Each girl is to also get an item. Rebecca loves the stories and history contained within the attic. Rebecca takes a dower chest with a journal in it from Anna Esch. The journal is written from 1941 through 1945. Rebecca starts reading the journal a little at a time. Rebecca lost her husband Paul about eighteen months ago. She has two children: Katie (seven) and Josh (six). Rebecca is determined to keep her farm and stop relying on her family for help. When Matthew Byler asks to rent her new barn, Rebecca is reluctant to agree. The barn was built for her husband’s dream of raising horses. Rebecca needs the money to help pay the mortgage that Paul took out to pay for the barn. Rebecca is also restarting the farm stay business that her husband had started. People stay at the house, get breakfast, and can learn how the farm operates. Some guests even help with the chores. Rebecca is shy and does not enjoy the farm stay, but she needs the income. Rebecca gets assistance from her cousin, Barbie who is very outgoing. Her brother also agrees to help. Matthew has returned to the community after being away for many years. He is helping out his aunt and uncle since his cousin, Isiah Byler left home unexpectedly. Matthew wants to start his own furniture making business in the barn he is renting from Rebecca. He slowly gets to know Rebecca and her family. Matthew has something in his past that he is not proud of and does not think he is good enough for Rebecca. Rebecca needs to decide if she can move on from Paul and start to love again. The Forgiven is a lovely book. I thoroughly enjoyed reading it. 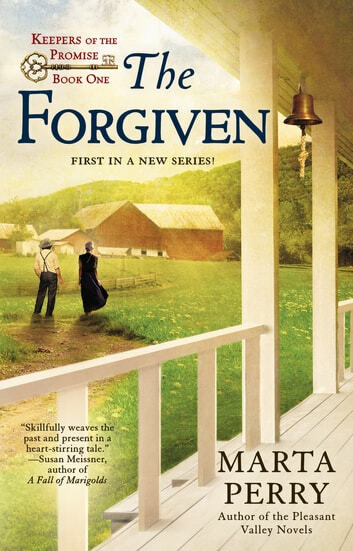 I give The Forgiven 5 out of 5 stars. I enjoyed how the book would give us glimpses into the past. While Rebecca read the journal, we got a glimpse of what the Amish went through during World War II. The Amish do not believe in fighting and were conscientious objectors. This is the same with the Quakers and Shaker communities. At the same time the journal helped Rebecca. It provided her with insight and helped her to get over her grief. 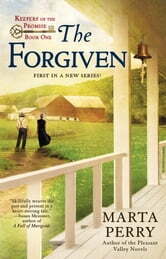 The Forgiven is one of those books that you continue to think about after you are done reading it.